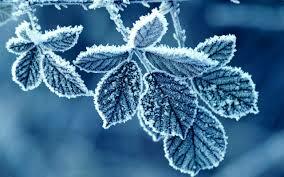 Winter, in most places, is a time of colder, shorter days. So naturally, when there is less reason to be outdoors, the body tends to want to stay inside where it is warmer. The body’s metabolic rate will be slower, which means eating foods full of sugars can become detrimental over time. When the metabolic rate slows, the body naturally holds onto fat and we gain weight. Just as most animals hibernate throughout the colder winter months, so too should human beings take the information being given and use it accordingly. Tonics are what should be primarily eaten during the winter months according to TCM. Most tonics include warming herbs, fatty foods and meats. The human body is designed to absorb these rich foods especially well at this time of year. By tuning into nature, humans can be guided toward the proper nutrients. Since fruits are not usually abundant during the winter months, it makes sense we should not be eating large quantities of them. Foods such as fruits, salads and raw foods can deplete the immune system because it will have to work overtime to warm the body. If a person has a dislike of cold weather, joint aches and pains, sore low back or catches cold frequently, then there is too much of an imbalance and that person may be consuming too many cold foods. It is recommended to eat warming foods during the winter months. Foods that will strengthen the kidneys, blood and Qi (pronounced “chee”), which is sometimes considered our inner form of energy. Foods that would be best include beef, lamb, root vegetables, dark leafy greens, black beans, oats, quinoa, pumpkin, kidney beans and walnuts. Fruits can be warmed by adding spices like cinnamon, so they don’t tax the system too much. Herbs such as ginseng, garlic, onion, ginger, parsley and basil all have warming properties too that can be used when cooking. Fall or autumn is a favorite season for many people. The weather is getting a little cooler, things are starting to slow down and preparations for the holidays are in full swing…..
For many others, fall is not so festive. Many people tend to get sick during the fall months, allergies can flare up for some, and many don’t like that the hours of sunlight decrease steadily, sometimes leading to seasonal depression. 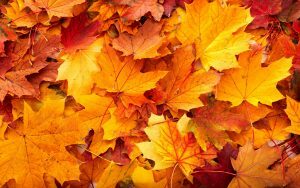 In Traditional Chinese Medicine, fall is the season associated with the lung and large intestine energetic meridians. These two meridians work in a symbiotic way to control the immune system from both the inside and outside of your body. And if you take good care of these two meridians during the fall, you are bound to feel better throughout the season. Here are some suggestions on how to get through the season of the lung and large intestine channels. First off, start wearing scarves. The scarves don’t have to be thick or heavy, but they should cover the neck. The large intestine channel runs up the arms, across the shoulders, up the neck, over the face and ends next to the nose. As many people now know, the health of our gastrointestinal tract plays a big part in our immunity. So keeping the large intestine channel warm and preventing exposure from the elements will help to keep you healthy. Cold pathogens can enter the body through the pores or nasal cavity. But wrapping the neck and shoulders with a scarf can help ward off the pathogens. Another way to keep the lung and large intestine channels balanced is to eat according to the season. This means eat foods that are available during the autumn months as well as foods that boost the energy of the lung and large intestine meridians. In the fall, you should eat fewer cold and raw foods like salads and instead you should eat more warm, cooked foods. Utilizing the foods that are available at this time of year is a good practice as well. Foods to enjoy during the fall months include apples, squash, broccoli, sweet potatoes, pears, yams, bananas, cabbage, carrots, cranberries, ginger, pumpkin, cinnamon, nutmeg and wild rice. Also hot herbal teas are a good addition to your daily diet, especially those containing ginger and lemon, which act as natural antibiotics. The large intestine and the lungs need to stay moist to function properly. So drinking lots of water is important. Most people know how important it is to stay hydrated during the summer months, but it is just as vital during the autumn. Without proper hydration the skin, which is controlled by the lung meridian, can become dry and cracked allowing pathogens to easily enter the body. The large intestine meridian needs proper hydration to be able to expel any pathogens that have gotten into the system. So don’t forget to drink lots of water during the fall. As we approach the fall months, it is also a good idea to increase your regular acupuncture treatments. 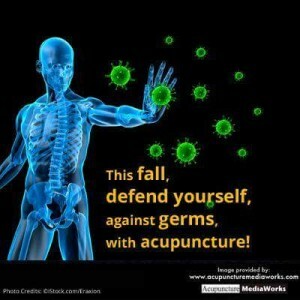 There are several acupuncture points that help boost immunity and fight off colds. Why not utilize the natural power that your local licensed acupuncturist has to offer? By doing so, you might just survive the fall without ever getting sick. It is best to always have your energy aligned and balanced. To make sure your energy is balanced throughout this fall season here are three acupressure points you should utilize to ensure this. Acupressure is a great way to stay healthy and to balance energy, check out these points! 1. Large Intestine 4 (LI 4) A reliever of headaches and tense muscles, LI 4 is a great point to use to balance energy. In addition to making sure you are balanced it promotes healthy bowel functionality throughout the body. LI 4, is referred to as He Gu, or the “Adjoining Valleys.” It is the point where energy cleanses the body and clears out what is no longer needed, this point clears the system and replenishes Qi. Position your left hand flat with your palm down, now squeeze your thumb and index finger together, locate a fleshy mound that appears between the two fingers and press on this point with your right thumb above and index finger below. 2. Large Intestine 11 (LI 11) To relieve pain within your arm, shoulder or elbow use this acupressure point. LI 11 also regulates the digestive tract and the blood, in addition, this point cools heat and alleviates dampness. LI 11, the earth point of the large intestine meridian, is located at the crease of your elbow. To find this point bend your elbow in a 90-degree angle, place your thumb on the outside of the elbow crease and press. 3. Lung 2 (LU 2) Yu Men, or the Gateway of Gathering Clouds is the gateway where we are able to receive fresh sunshine, the rain and cloudy days. This point is very useful for balancing energy when you are overwhelmed with stress, it calms the body. To find LU 2, locate the area above the collarbone where it meets the shoulder blade, at this location there should be a depression, apply pressure there to harness the balancing powers of this acupressure point. The theories of Chinese medicine suggest that each season relates to a different organ system. The Fall is the season of the Lungs. 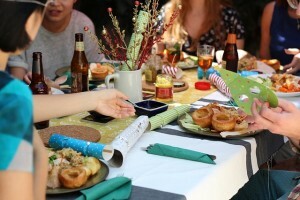 It’s the time of year when people are easily affected by environmental influences. Great changes are taking place in the weather and plant life around us. Some people refer to it as the “flu season.” The lungs are called the delicate protective organ,” because they are the only organ that comes into direct contact with the external environment. This can make them vulnerable to the environmental influences which can lead to colds, the flu, or allergies. The lungs are also involved in the production of Wei Qi. Wei Qi is a similar concept to what Western medicine refers to as the immune system. Wei Qi provides the body with an “immune system like” barrier that protects the body from harmful pathogenic factors that can enter into it, and which may eventually lead to illness and/or disease. Healthy and strong lungs can enhance the proper functions of the entire body. Through an intricate process, the Lungs extract “pure essence” from the air we breathe, and combine it with the food we eat to produce the Wei Qi. This immunity-like system is then circulated throughout the entire body, providing it with a first line of defense. When the lungs are functioning correctly, we remain healthy, and potentially free from illness. But when our lungs become weakened or imbalanced, our body may not have the capacity to produce the correct amount of Wei Qi. When this occurs, the stage for “catching” a cold, the flu or allergies is set. Weak lungs and Wei Qi can also lead to asthma, eczema, dry skin and other problems. long-held grief or sadness, inherited constitution, smoking, bad air or pollution. The ancient classic text, Zhen Jing, states, “If the lungs function well, it can activate the flow of Qi, and nourish the whole body with Wei Qi, as rain nourishes young crops.” Proper lung function is necessary to keep us healthy and to help ward off illness and disease. 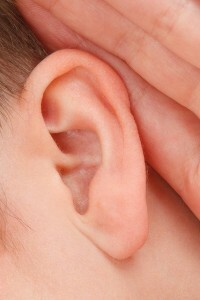 Many of us ha ve already experienced or will experience some amount of hearing loss. This can be due to aging or noise-induced factors. Exposure to loud sound over time can permanently damage the ears and result in hearing loss. These foods have been shown to improve hearing and prevent hearing loss.